Save yourself one of the biggest hassles of spring -- putting in a boat lift! 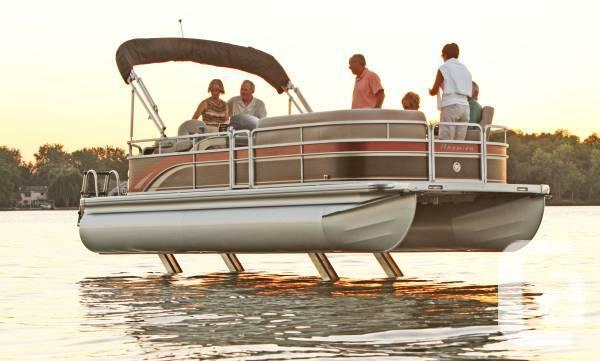 Sea-Legs hydraulic pontoon lift bolts to the bottom of your pontoon and stays connected as you travel from your dock to your neighbors dock, the sand bar, your favorite watering hole, etc. Yes, they are permanently attached. Sea-Legs allow you to lift your pontoon out of the water, keep your tubes clean and stop the boat from getting damaged while tied to a dock. You don't need anchors or side bumpers; no need to tie up! No need to hand-crank your pontoon out of the water, just use the remote to lift your boat. 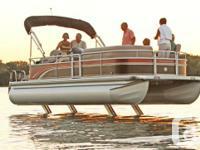 Sea-Legs are available for double or triple-tube pontoons. They run off your starting battery which gets recharged when you run your motor. 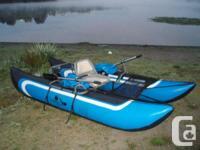 Sea-Legs now has an Authorized Dealer in British Columbia. See them on the company website; www.sea-legs.com or check out the article in the May 2014 Pontoon & Deck Boat Magazine. 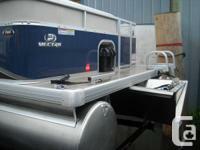 Email a phone number, e-mail and/or location to be put in touch with a local dealer.